Our nutritious blueberry syup is sweetened with Alaska honey and sugar and is complemented with orange zest. Full of antioxidants. Available in three sizes, in plastic or glass. Combining wild Alaska blueberries and domestic berries with minimal sugar, raw Alaska wildflower honey and a hint of orange zest. Blueberries are well known for their anti-oxidant properties. 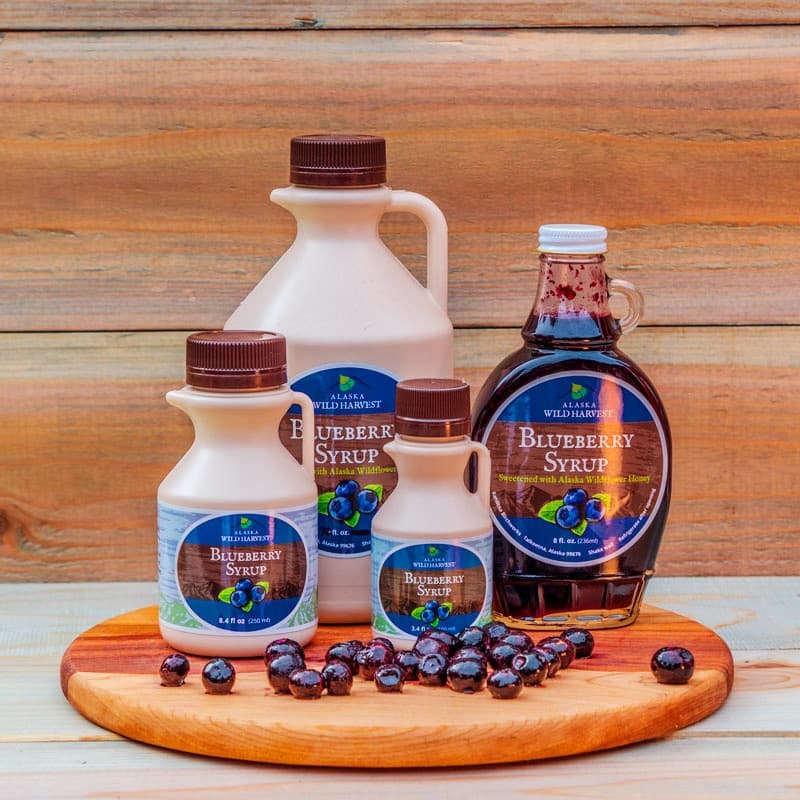 Enjoy this delicious and nutritious syrup with crepes, french toast, pancakes and waffles, ice cream and fruit. Available in four sizes – plastic and glass.